What followed was an utter betrayal of local tax paying companies when the nets became a fifty mile radius of the borough. This meant that any business between here and Stafford in the West Midlands could score in the Tameside goal. What it really meant was that Carillion’s existing supplier base, conveniently became eligible for the Tameside contracts. Letters were written to local Newspapers and there was an outcry from Tameside business but all to no avail. What’s worse is the fact that all the officers and Councillors from Tameside who were blowing the Carillion bugle were suddenly silent. No apologies for wasting the time of busy Tameside companies, they just disappeared into their offices and shut their doors. This to many looks like old news, so why is it relevant now after the collapse of Carillion. The reason this is relevant now is the fact that Tameside Metropolitan Borough Council who were for so many years Carillion obsessed are now in 2018 paying the price for their folly. 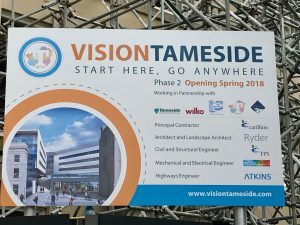 In October it was reported that the new Vision Tameside Council building, which the work had stopped on; was going to cost an additional £9.4m to complete. In addition, other contracts including school meals in Tameside have reportedly cost the Council a further £1m. What is probably more worrying is the fact that these are the costs that we are aware of. In the grand scheme of things, a transparent local authority would keep the public informed; but a public airing of the Councils dirty laundry maybe too much for us to bear. Or possibly those that sit in high places and lower ones are worried that their jobs or positions could be at risk. Tameside MBC have one of the highest paid Councillor Executives in the region. It is prudent to expect that they would be the best of their colleagues and capable of ensuring public money is spent wisely; and if at any point in the past two years they were worried about Carillion. They would have raised their concerns at the regular Councillor Executive meetings and then of course would have brought it to the attention of the full Council. 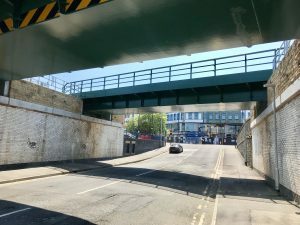 The working title of this latest Blog was Ashton under Lyne pays the price, or does it, the reason behind that is the simple fact that it will but not alone. The price for the Carillion obsession by Tameside MBC will be paid for by every Council tax payer and business in the area. So, paying the price are the nine towns of Tameside and their communities, it already appears that Hyde have already paid a price. With the extension of the Hyde leisure pool being put on hold prior to the collapse of Carillion; and remains under review. If the Tameside MBC are expecting to pay out over £10m to complete construction work and maintain services, where will this money come from. Reading previous articles on the subject of eggs and baskets, a Councillor had already questioned the Carillion obsession and asked why there was not a committee in place to scrutinise the relationship between the two organisations. Public scrutiny is at the heart of councils and public money; ensuring value for money is the role of any council. Transparency ensures that nothing untoward is possible and the rules of competitive tendering in local authorities are followed. Although competitive tendering must be tempered with common sense; to ensure that the work is done to the highest possible standard. When you look at how some consider competitive quotes, when there is a vast price difference without explanation. Questions should be asked to ensure that prices are not artificially low; meaning that there isn’t enough in the price to complete the works required. A practice that seems to happen across many industries so when the tender is won many things become extras or the work is not completed to the required standard. For instance, a contractor could reduce its waste disposal costs by dumping its rubble from one site under the playing field of another site in the same borough. Imagine if the last sentence was proven correct and a construction company filled other construction sites with the demolition debris from other works. The consequences of this would be far reaching and could be a health risk to future generations. Who knows what a business on the verge of collapse would do in the years when it realised it was in trouble. But I suppose if you are a Director of a multi-billion pound organisation; and your livelihood depended on it, what wouldn’t you turn a blind eye too. As long as the finished job looks the part, what if a few corners were smoothed off, no one would ever know. Unless of course in the case of a playing field, it was a metre higher than it had been previously. In conclusion to this Blog, the simple truth is many councils and Government were guilty of not seeing the whole picture. But in a time of Austerity people look at the bottom line, the price is the cheapest so award them the contract. With Tameside and probably many other councils across this region and the country; they became too close to their supplier and probably too trusting. Building were built for years without an issue and then suddenly the bottom fell out of local authority construction and services. Because their biggest contractor and the business that all the eggs were in, had gone; leaving many in charge with that egg on their faces. We can only hope that they all learn from this experience and don’t ever repeat the same mistakes again. For instance, when a school meal comes in at 26p per child, this is probably to good to be true. In addition, you have to consider what your child is going to get at that price and make them a packed lunch. 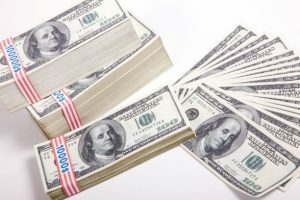 What you have to consider is the fact that the price is paid by everyone. In the case of Tameside, it is the people of Ashton under Lyne, Mossley, Stalybridge, Mottram, Hyde, Dukinfield, Denton, Audenshaw and Droylsden. The Council Tax and Business Rates are unlikely to fill the hole this has left behind; so, the end result could be cuts in services or increases in taxes. Neither of the choices is a good one for the future of this or any other borough in England and Wales. As we see austerity coming to an end, you can only hope that Councils have learned from their mistakes; especially here in Tameside as this is where it matters to us. This entry was written by Stetat, posted on November 27, 2018 at 2:57 pm, filed under A different Direction, Ashton under Lyne, Uncategorized. Bookmark the permalink. Follow any comments here with the RSS feed for this post. Post a comment or leave a trackback: Trackback URL.